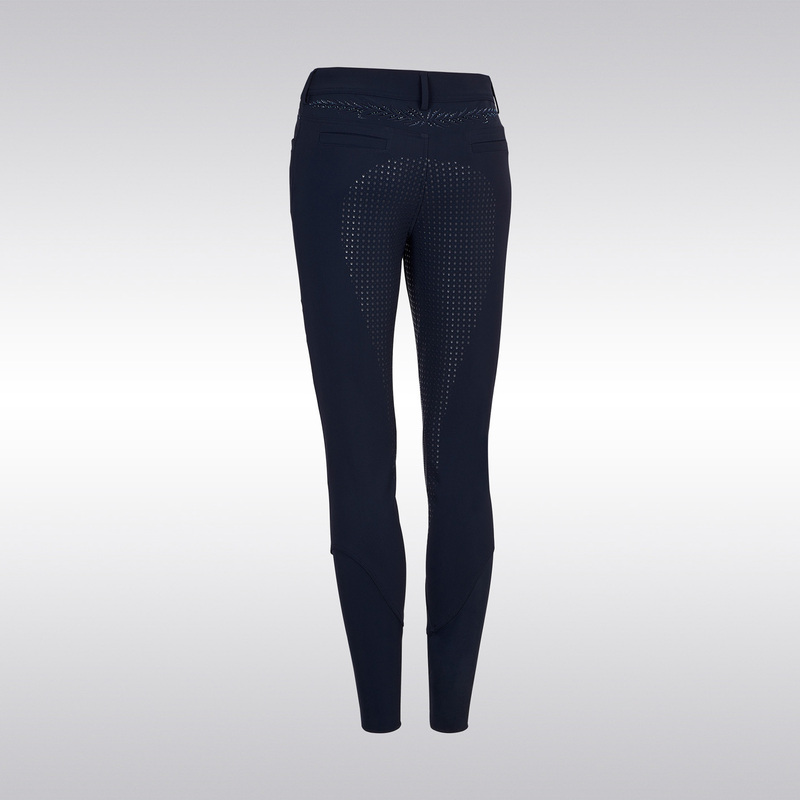 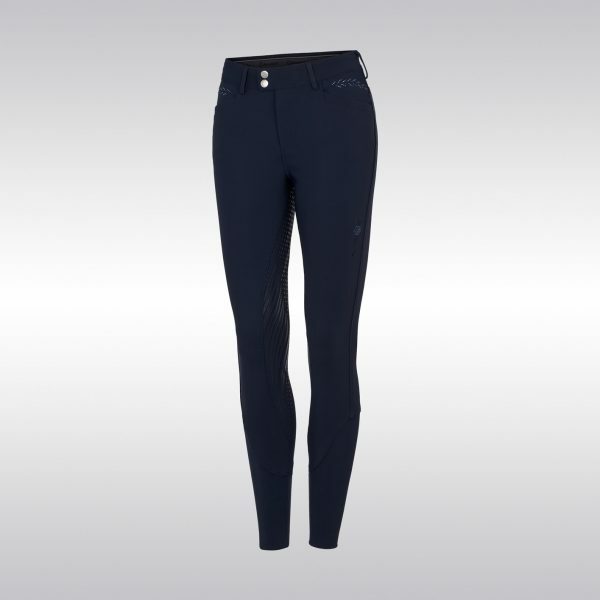 The Samshield Capucine breeches provide comfort and technical performance to riders. 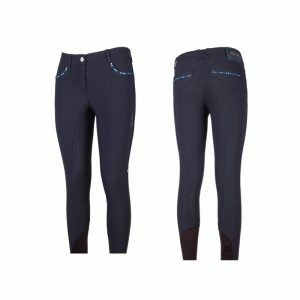 The tailored design is made from a wearable, high stretch, second skin fabric with compression technology which guarantees breathability and wind protection while silicone full grip ensures stability and adherence in the saddle. 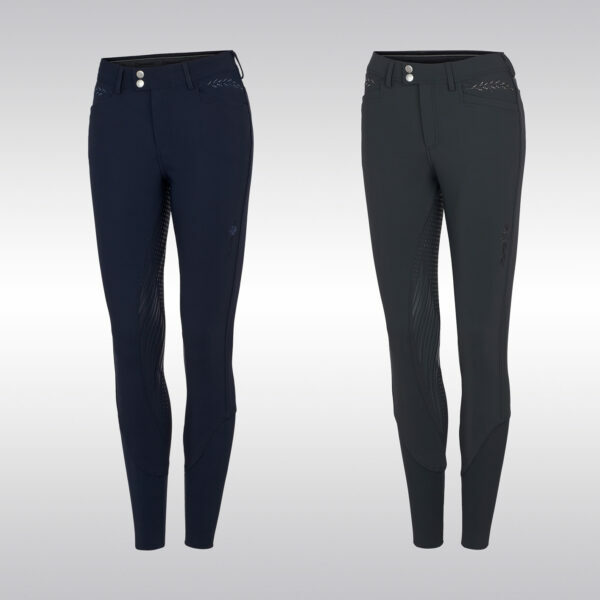 The breeches are embellished with an embroidered floral design on the rider’s thigh, also on pockets and back with Swarovski® detail, combining technical performance and elegance. Complete the look with a Samshield Flower Swarovski riding helmet! Available in Navy & Anthracite.